I’m sat here at my desk in the Channel 4 News room listening to Solardo on Mixcloud. I’ve just run up GIR because the delightful British weather has decided to rain reality down on me and to be fair, it might help wash my Ibiza blues away. I’m posting all my photos a week late because I was having too much fun out there and I’ve already booked to go back next month. I’ve just returned from one of the best trips I’ve ever had on the island. Everyone probably thinks I say this every time but I feel like this year’s little plan and set up is spot on. I’ll be flying out once a month, Friday to Tuesday when my four days off are bunched together on cheap flights at tactical hours which are allowing me a few much needed breaks as it’s been pretty relentless working in news recently. Last weekend was the perfect escape and now I feel like summer has really begun! I constantly find myself defending San Antonio in Ibiza. I think it’s because people’s perception of the resort is that it’s just really tacky and full of crazy, partying youngsters. And don’t get me wrong it really can be especially down at the bottom by ‘The Egg’, but we like the top end and there are so many great things about San An, I’m so proud to see it on the up again. There were various trips in my Ibiza history where I would love just going to Playa d’en Bossa. We’d stay there, party there and go straight back to the airport. 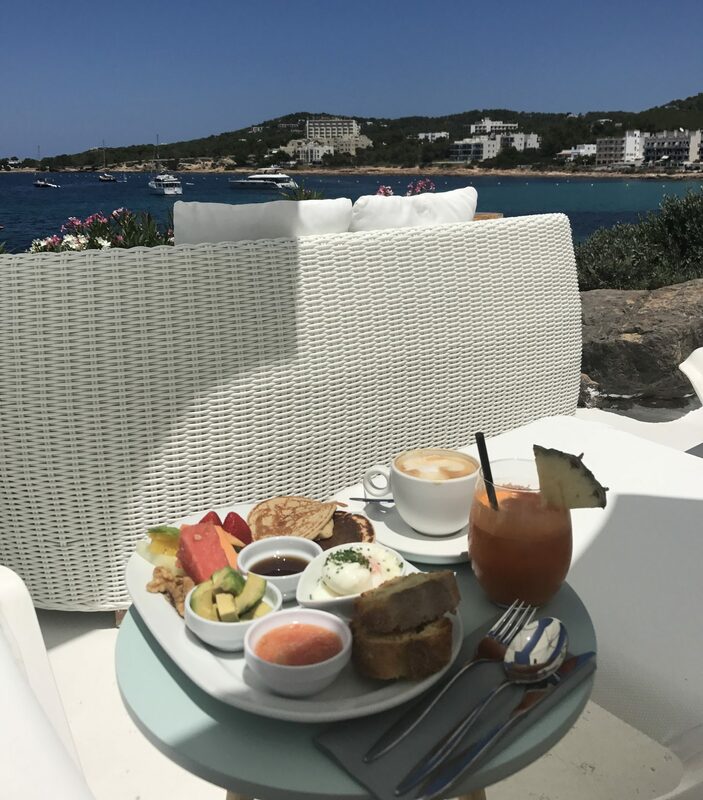 But since my season, I prefer to go back to San An to see friends so we stay up by Kanya and hang out at the beach cafes with pools along the strip further up from Mambos. You still get the same gorgeous sunset, it’s just a lot less busy. Bossa seems to have taken a dive the same way in which San An did a couple of seasons ago, maybe it’s just in transition. Space has closed and become Hi. It seems we are in the middle of ‘The Ushuaia take over’ – it’s all EDM and all VIP poolside tables. Yes, that draws in the wealthy American crowd but isn’t too popular with the locals and ‘worker’ community. I know Bossa have also had various licensing issues halting their major Sunday day parties at Bora beach and Jet. I just hope it doesn’t affect Sankey’s popularity. So now the new Sunday plans are the DNS Pool party at Ibiza Rocks then onto Defected at Eden. It was great to see both events absolutely packed and they had a great vibe and were literally on our doorstep. Nothing posey and pretentious just good music and loads of dancing. 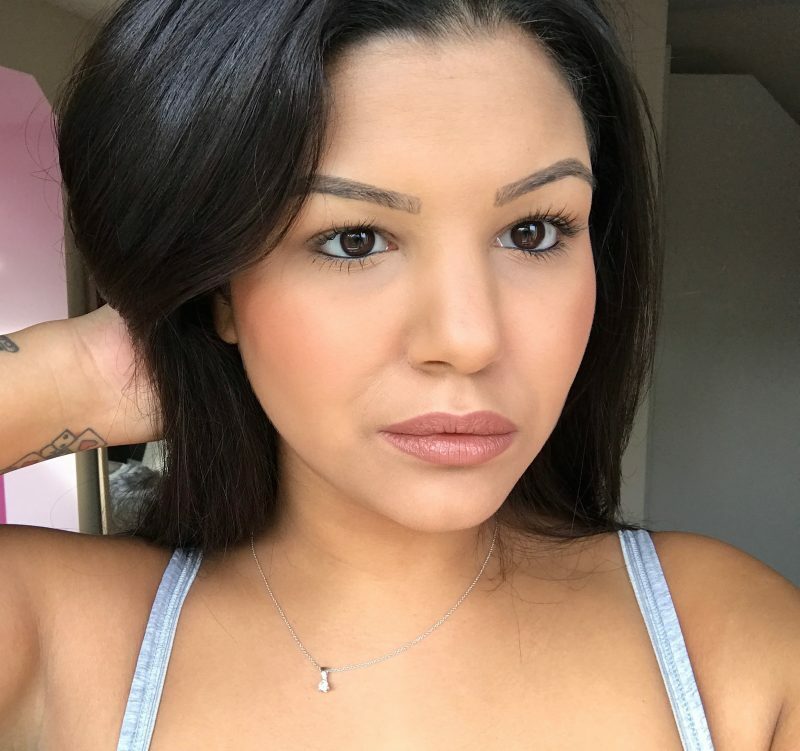 Exactly what we like! 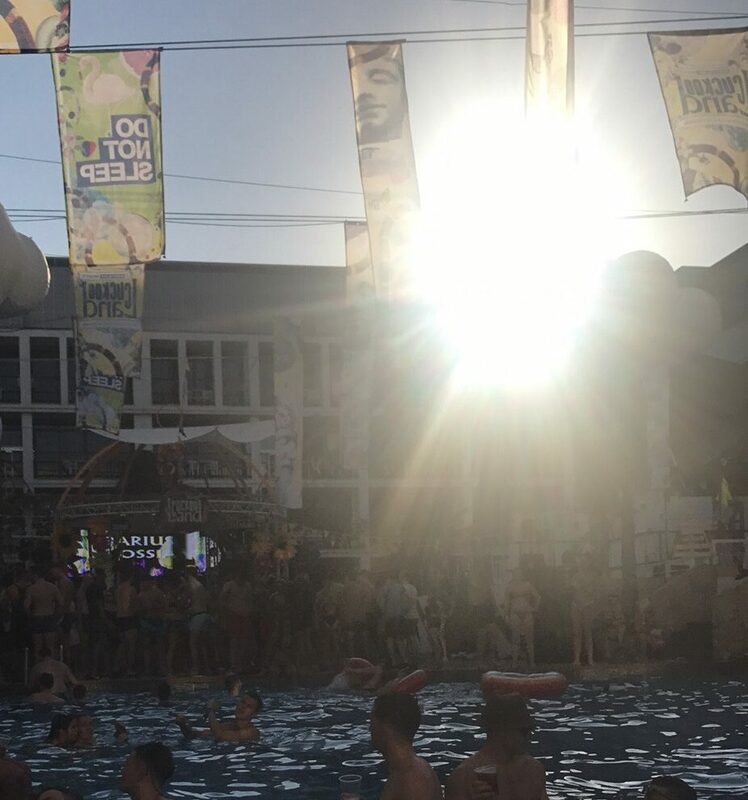 At Ibiza Rocks we met a group of Americans that were staying at Ushuaia – them making the trip to San An says it all really. I didn’t hire a car this trip. 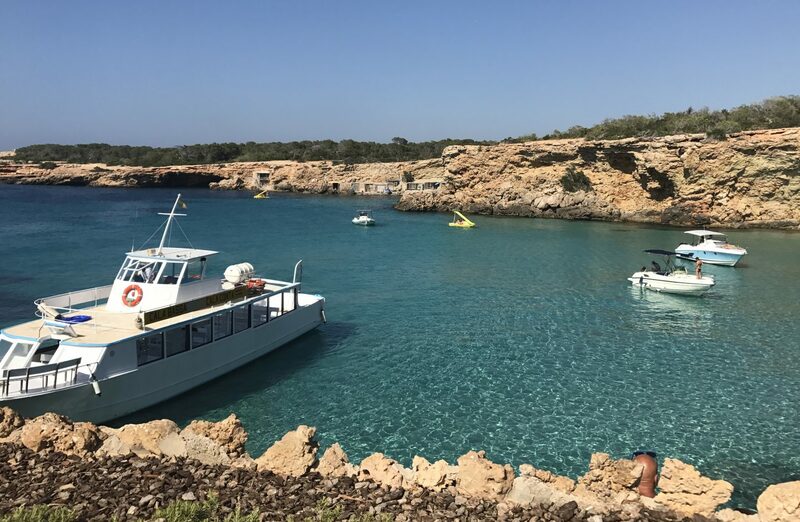 Last September we learned about the boat taxi from San An to Cala Bassa and Cala Conta (where Sunset Ashram is) and when we realised we would only really be leaving San An to go to Amnesia we decided not to. The boat taxis are so convenient and priced about the same as splitting a cab anyway. It’s definitely worth getting out and going to one of these beaches, the water is crystal clear and they’re stunning. 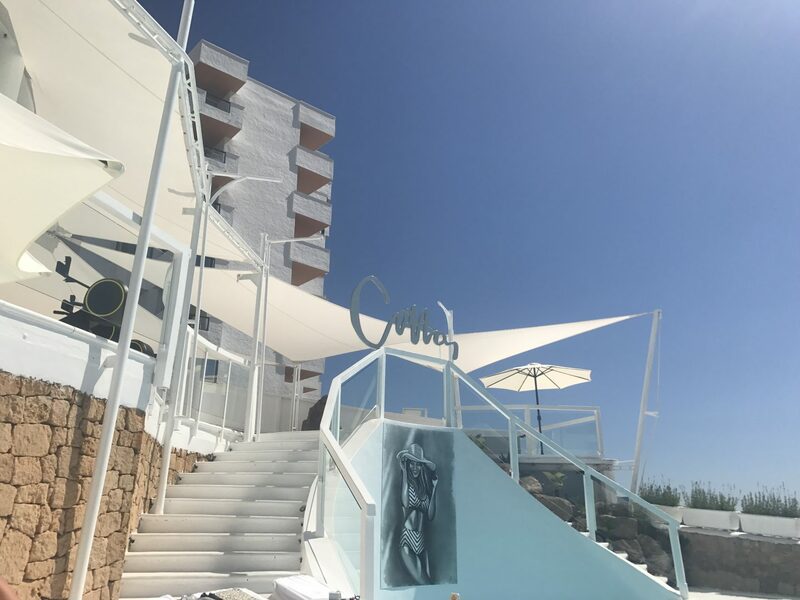 Our plans to go to Cotton Beach Club at Cala Tarida also got ditched because Cotton have opened a fitness club next to Kanya! 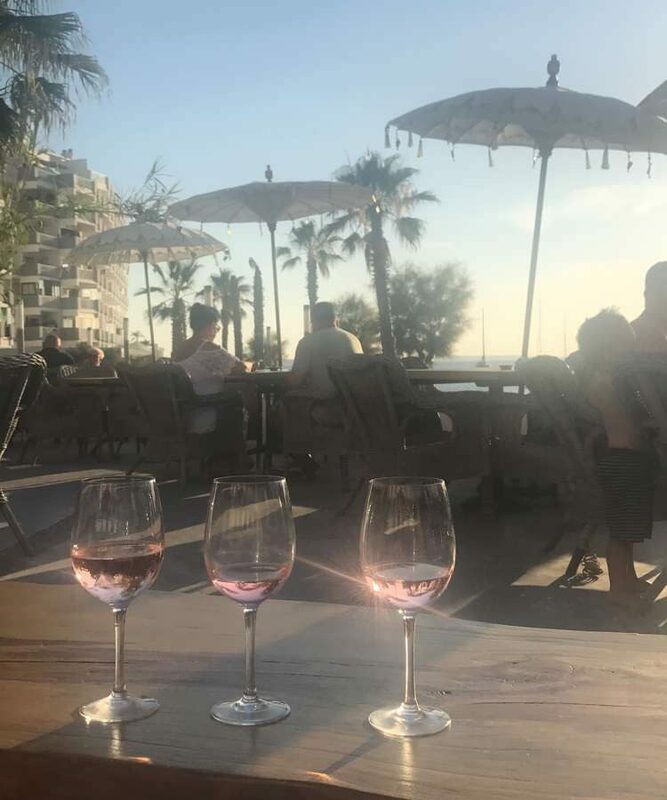 We went down for their awesome €15 Breakfast around 11:30/12 and laid out there til about 5pm before moving onto Golden Buddha for wine then to Kasbah for tapas at Sunset. 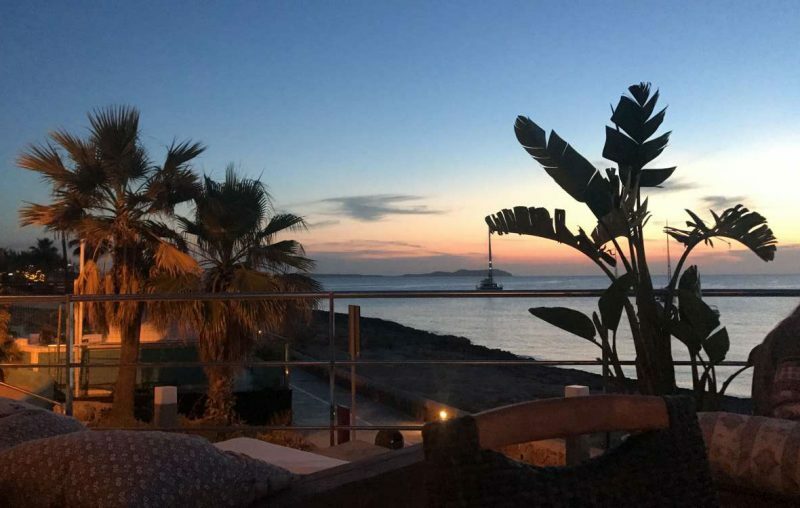 Mambos and Café del Mar have still got nightly sunset pre parties as well and it seemed the Americans we met staying in Bossa were getting taxis over to San An more than sticking around over there. I’m so happy to see San An on the rise! We just felt no reason to venture out this trip. If it ain’t broke right? Speaking of which, Carola knocked it out the park as usual and I’m not sure about Elrow at Amnesia. Probably means I need to give it another go. Flights are booked for the same again July 15th.